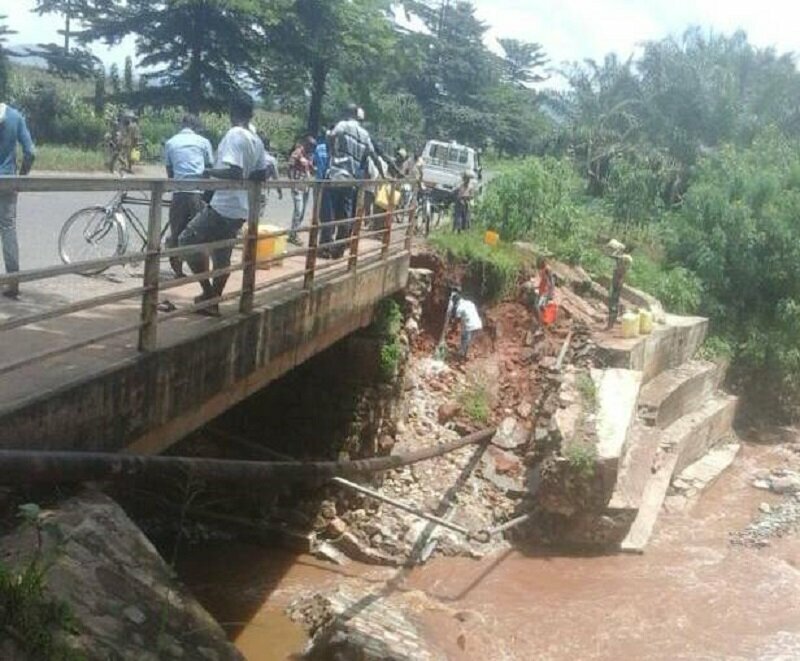 BUJUMBURA Februay 28th (ABP) – The Murago River Bridge connecting Bujumbura (western Burundi) and Bubanza (north-west) provinces on national road N°. 9 (RN9) is in danger of collapse, according to a police source in Bujumbura province. 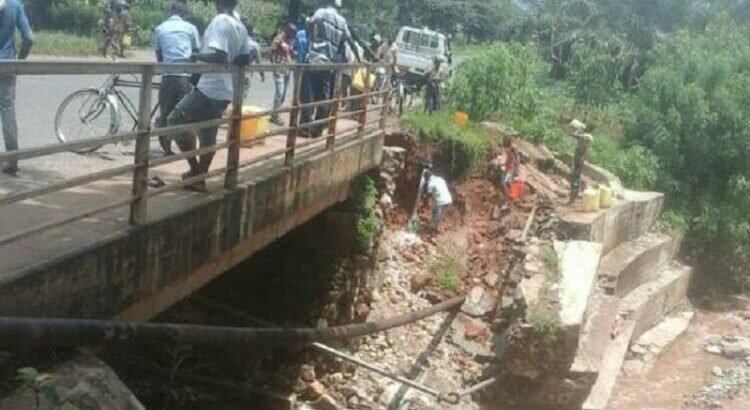 OPC2 Provincial Deputy Police Commissioner Alexis Hatungumana says the bridge was damaged last Friday during rains in the Rubirizi zone of ​​Mutimbuzi commune and the areas around the palm grove belonging to Ruzizi company, near Kivoga. Those rainwaters carried part of the gabions supporting the bridge and cut the water pipe supplying the Rubirizi zone, continued our source before specifying that the said zone is devoid of drinking water and the crossing of two vehicles on that bridge is no longer possible today. That police authority makes a strong appeal by stressing that if nothing is done in an emergency way to rehabilitate it, the bridge may be cut.